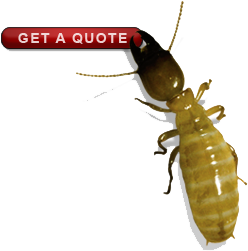 4 Less Termite, Inc. offers inspections for wood destroying organisms including drywood and dampwood termites, subterranean termites, powderpost beetles and fungus/dryrot in residential, multi-family, commercial and industrial settings, including real estate transactions. We have the local knowledge you are looking for and offer both complete and limited inspection services in Santa Cruz, Santa Clara, San Benito and Monterey counties. Unfortunately, most wood destroying organisms don’t make their presence known until significant damage is already occurring. Whether you occupy or rent your home, most residential property owners are often not aware of the signs to look for and are not well versed on the environmental and geographical conditions that increase the likelihood that wood destroying organisms may be compromising their structures. Initial inspections are recommended to establish a baseline and evaluate existing conditions. Periodic inspections offer an opportunity to identify of commonly occurring moisture issues that may not be a problem yet, but are silently creating the perfect conditions for future infestations. Whether a building is large or small, occupied or vacant, owners of commercial, multi-family and industrial properties are often unaware of the threat posed by wood destroying organisms. These properties are often rented or leased and with the owners relying on management companies to tend to their investments. Subsequently, these property owners are often not aware of or informed of the problem until after the damage has become significant. Initial inspections are recommended to establish baseline conditions and periodic inspections thereafter help build a history on these properties and can be useful to track emerging and/or recurring issues to inform the best course of treatment. Whenever a property is listed for sale, it is the responsibility of the buyer to complete their due diligence during the investigation period of the transaction. It is also in the best interest of the sellers to complete their own termite inspection in advance of listing the property. Sellers remain in a stronger position throughout the listing and negotiation process if they understanding the nature and extent of any present and active infestations and the potential cost of treatment and repair in advance of listing the property. Additionally, financial institutions recognize that wood destroying organisms are a threat to the value and life expectancy of a structure – as such, completion of a termite inspection, treatment and/or fumigation and complete removal and repair of active infestations (also known as Section 1 repairs) is often a condition of their lending. Want to make sure you are getting the best deal on your services? If you have already had an inspection, the report you received* will itemize the recommended work needed to address your identified infestation. We are happy to offer competitive bids on spot treatments, fumigations and all types repairs. For more information, please contact Customer Service at 831-465-1699. *Because the nature and extent of wood destroying organism infestations change over time, so Wood destroying pests and organisms reports State of California only considers Wood Destroying Pests and Organisms Inspection Reports valid for a period of four months – after that another inspection is required in order for the infestation to be identified, treated and repaired correctly.